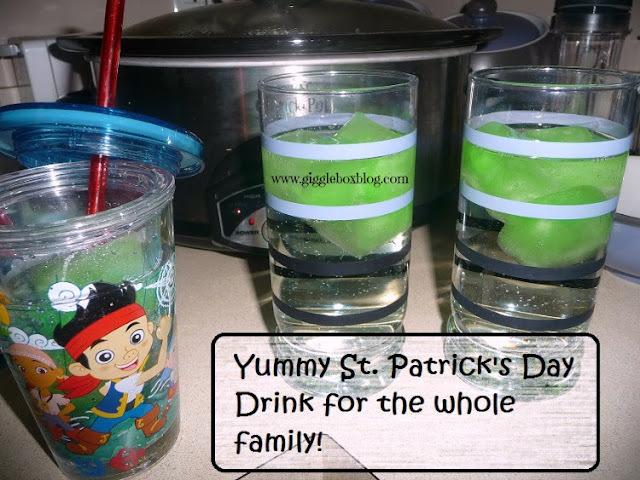 Yummy St. Patrick's Day drink that the whole family can enjoy! This was an idea I found on Pinterest and thought that it might be a yummy drink to have with our St. Patrick's Day dinner. The end result is rather yummy, but the process can get a little sticky. Here we go! I forgot to take a picture of the Liter of Sprite (I bought the Liter because the 2 Liter was a little on the pricey side and I didn't know how much we would use). The Kool-Aid is the Lemon-Lime flavor. Make the Kool-Aid as directed on the packet. 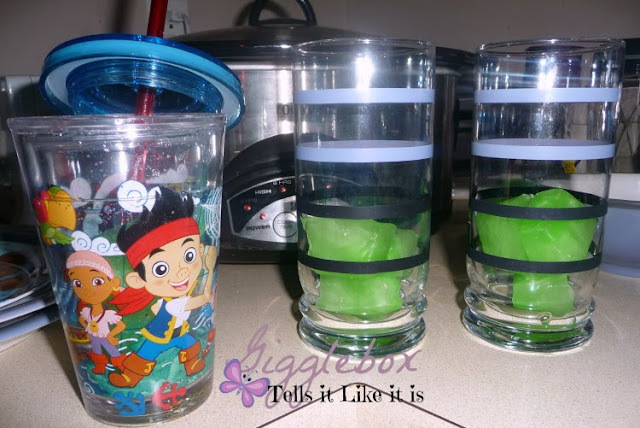 I had already made some in my Mickey Mouse Tupperware pitcher. 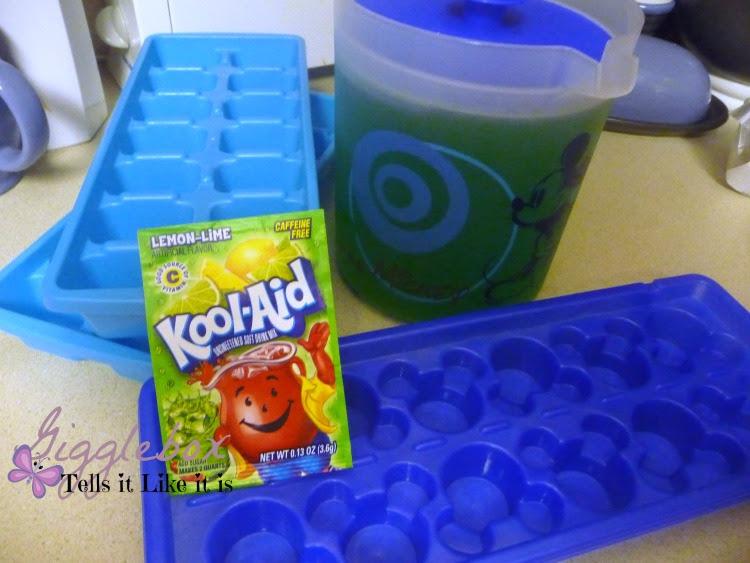 Pour the Kool-Aid in the ice cube trays. The Mickey Mouse tray was bought at Disney World 10 years ago on our honeymoon. I thought that Michael would get a kick out of his ice cubes being the shape of Mickey. Plus, everything tastes better when it's shaped like Mickey, right? I made these the night before so they would have enough time to freeze. 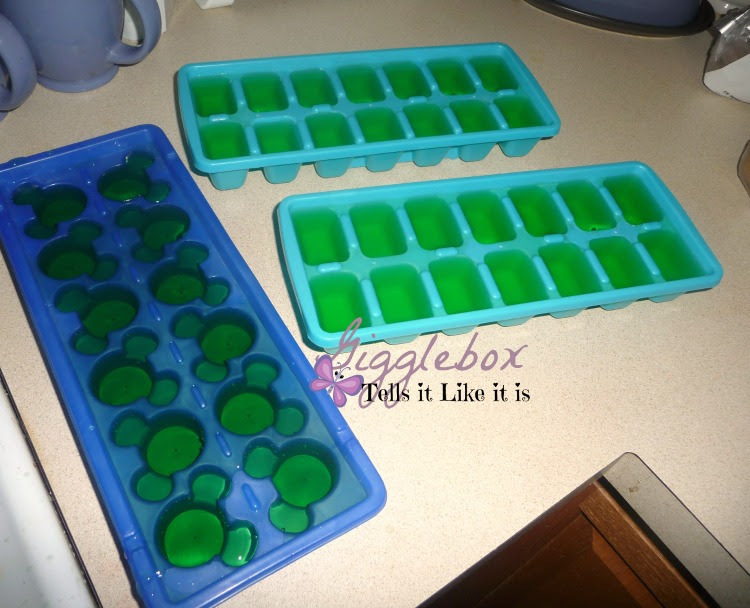 So, the Mickey Mouse shaped ice cubes would not come out of the tray. The regular ice cube trays came out, but it was rather sticky and I had to pull them out. 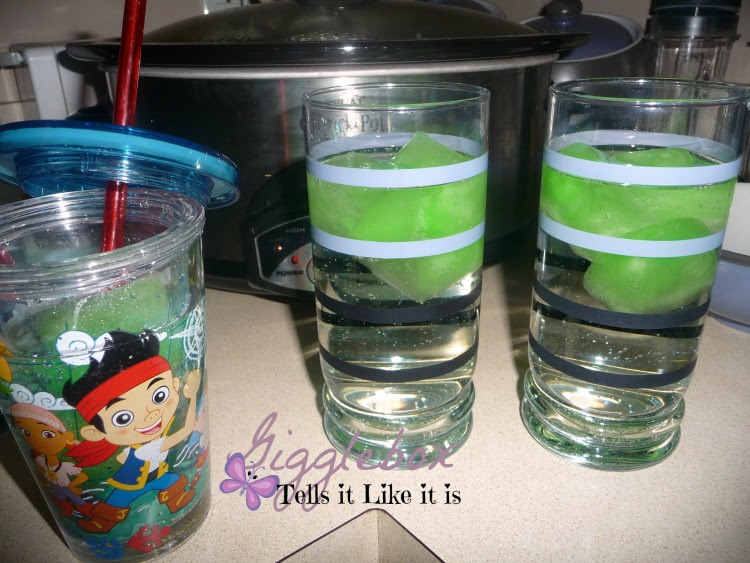 Pour the Sprite over the ice cubes and enjoy! Your clear drink will turn green over time. It really was yummy and Michael enjoyed his. So try this out next St. Patrick's Day or even a fun party. It will be a hit with those of all ages! Just as good as Grandma makes it!